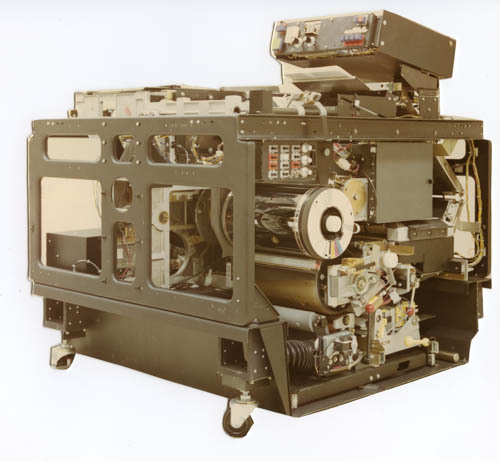 The Xerox copier 6500 color copier was introduced in May 1973, and made full color copies on plaine paper and transparents. 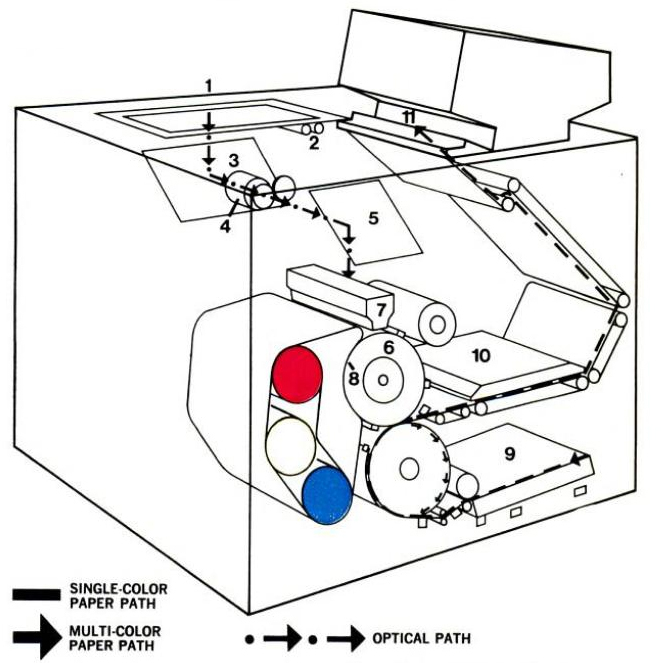 3M offered a color copier several years that required specially treated paper for each copy. The Xerox 6500 printed 4 copies in a minute, so it was rather slow. There are stories telling, that the 6500 also set copies on fire from time to time. 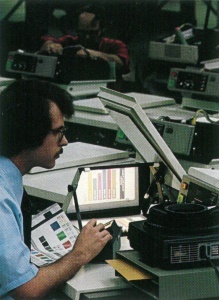 Bob Shattuck test the Xerox 6500 color slide adapter, a device that produces color prints on plain paper from 35mm slides. Image taken from Xerox 1976 a special report. I have a brochure for the 6500 that was created around 1972/73. I would be happy to scan/pdf or let me know how I could be helpful. I also have brochures for the 4000, and a few product sheets for 9400. Sorry for the late reply. It would be really great if you could scan the brochure for 6500, 4000 and the 9400. I was the first U.K. Trained field engineer and looked after the initial small number of machines. 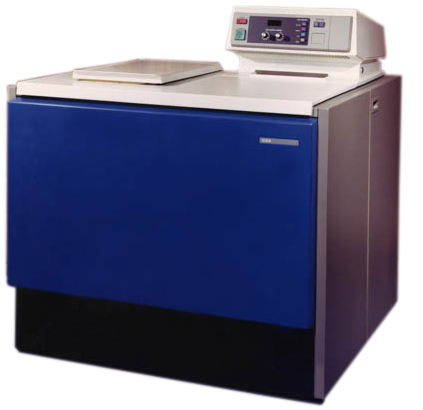 The majority were installed in xerox copy shops and London branch offices. The initial colour set up was very time consuming and when the machine was left overnight the quality could have altered if the photoreceptor had been over exposed during set up. The Bank of England were very concerned with the potential ease of producing counterfeit bank notes. The print manager was a crazy dude called Hugo. Very memorable fellow, bit of a mad scientist type. I was one of the first 4 engineers trained on the 6500 in South Africa. The last surviving one of six was in Durban Copicenter. I was responsible for its maintenance. Does anyone know if the dimensions listed for the height include the top smaller console or not? Hi there, I have a question reg the Xerox 6500 copies, does anyone know what the size was of the platen glass where one need to put down the sheet to copy it? I really need to know this information. Thank you all very much for your support! The 914 and the 720 were basically the same machine and the 6500 was based on the same chassis. I don’t have the documentation handy but I think the 6500 also made copies up to 9″ by 14″. That’s why it was called the 914.